Ahead of tonight's go-home edition of Raw, WWE has added two more matches to the card for Elimination Chamber. 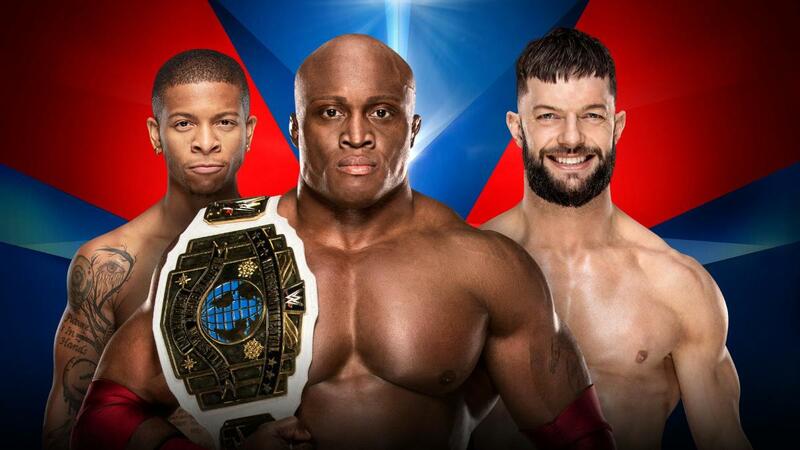 WWE has announced that Finn Balor will challenge for Bobby Lashley's Intercontinental Championship in a handicap match at the pay-per-view. Balor will face both Lashley & Lio Rush, with the stipulation being that Balor can win the title by pinning or submitting either of them. Balor and Lashley's feud began when Lashley interrupted Balor and laid him out on the post-Royal Rumble episode of Raw. Balor defeated Rush last week after Lashley cut a pre-match promo saying Balor doesn't deserve to be in the ring with him. Lashley said Balor needs to fight people his own size, that he'd think about giving Balor a title shot if he entertains him enough, and then attacked Balor before the bell. Braun Strowman vs. Baron Corbin has also been announced for Elimination Chamber, which is taking place at the Toyota Center in Houston, Texas on Sunday. Corbin & Drew McIntyre defeated Strowman & Kurt Angle by DQ in the main event of last week's Raw, but Strowman & Angle stood tall to close the show. Strowman slammed Corbin and McIntyre on the steel steps after the match.